As there seems that so many people are formed with or without the sensitivity for music or the arts, there are those too who cause the entire playing field to change shape or double in size. They sometimes are the odd birds who approach an instrument in a new way that defies what has gone before; sometimes they are just people who are in the right place at the right time, physically and emotionally, whose honesty captures a moment. A lot of those people end up on most everyone�s list, revolutionaries who sponsor and promote the next generation of seekers and dreamers, often broken and abandoned by the fact that they exist in the present and the future at the same time. 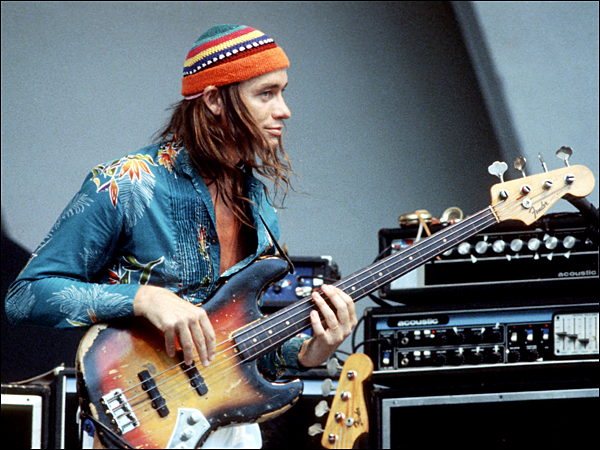 So a list of examples from my angle would include players like Charlie Parker, John Coltrane, Miles Davis, Hendrix and Jeff Beck, bands like the Beatles, XTC, Little Feat and NRBQ, and guys you may have never heard of like Jaco Pastorius , Steve Gadd, Vinnie Colaiuta, Jerry Douglas and Michael Landau. This is a fast and extremely limited list for me but the fact that you recognize or don�t recognize these names is not really the point of this post. When I was growing up in Western Mass in the late 70�s I took a job as a bar back at a local pub that featured live music. Most were local and regional bands who played covers and originals and there were even a few you may have heard of (David Bromberg, Arlo Guthrie�s backup band Shenandoah), but one stuck out for me; The Incredible Casuals from Cape Cod. In looking at reviews over the years, the descriptions of the band come close but never really nailed it; �the Who meets the Ventures� is a half hearted attempt to sound bite a band that both over and under achieved a heavy pop/ beach groove. �Replacements romping through Beatles VI�? Two dimensional. They were �Live, Loud, Drunk and Out of Tune� some of the time but my memories of the tiny green sparkle Rogers drum kit, the yellow duct tape wrapped Fender Jag and a ska version of ? and the Mysterians �96 Tears� just open the door to the universe they created. Chandler Travis and Steve Shook had a musical/comedy (comic musical?) act that spawned a single album and a bunch of opening slots in the mid �70�s called Travis Shook and the Club Wow. 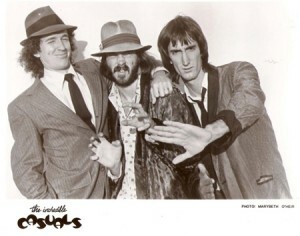 They supported some big acts of the day and began their relationship with George Carlin while opening for him. Enter drummer Richard Bates (AKA Vince Valium), a rail thin, tall monster of a drummer who was more than partially responsible for their amps being turned up so high. By the time I first saw them in the late 70�s, Johnny Spampinato was also playing guitar, his lefty Fender turned away from Steve�s hollow Gibson and Chandler�s J bass in the middle, some kind of reckless precision coming out of it seemingly by mistake. 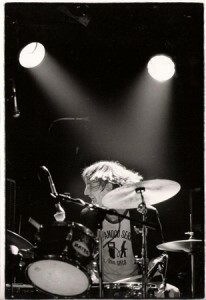 Vince played ferociously, kit low, his body draped over it, arms flailing until the punky Bunken 7A drumsticks would splinter, he releasing the remains towards the bar, bottles crashing and breaking, a small pile of kindling after each show in various corners. Now, lest you get some vision of a punk band in this time frame, know that they never limited themselves to any genre or treatment. I had the pleasure of seeing them about 2 dozen times in this short period and was subscribed to their �Inedible Casseroles� cassette series, which were like early podcasts that included demos, live takes and life on the road vignettes. They might take one of their beach rave ups and do it Bossa Nova; their humor and depth mashed up seemingly inappropriate things, making them truly their own. I�ve always been drawn to bands like this, even before I knew they were doing it; perhaps the confusion/fusion/mutancy of bands and artists who didn�t/couldn�t play it straight just confirmed what I was learning about music, which was knowing the history and rules so you could throw them out. Surviving as artists while posing as a bar band has always been a tricky thing. You have to give the drinking crowd what they want and keep them coming back for more. Heck, even Terry McGovern fired Springsteen from his club for capturing the audience�s attention and keeping them from the beer tap! Salting a steady stream of covers with originals or re-arranging popular numbers can be dicey. 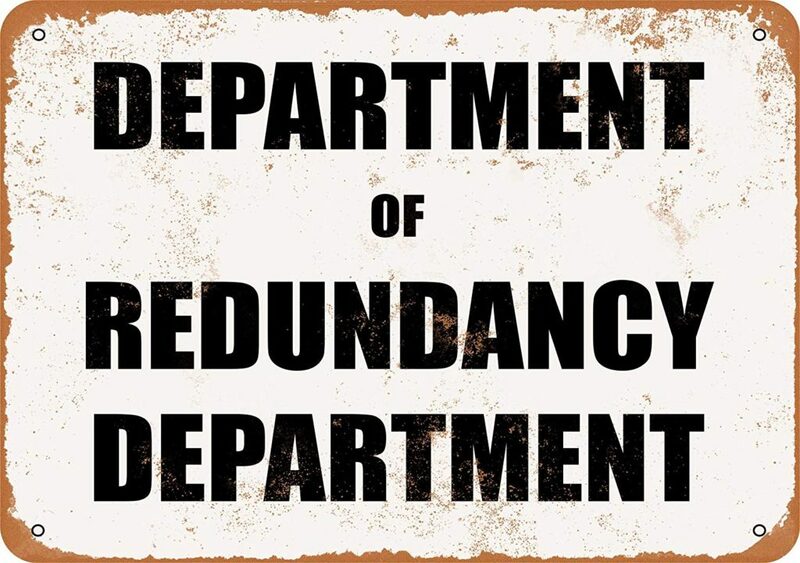 You either have to be calculated or completely turn your back on who�s there until your crowd finds you; takes a great deal of courage or apathy. OK, so the Casuals knew an incredible cross section of rock tunes, surf hits, obscure oldies and standards. What they didn�t know, they faked without apologizing; their trainwrecks were ten times more interesting than a pitch perfect recreation. Their originals could be complete nonsense, frat house sing-a-longs, punchy, hooky pop nuggets or simply beautiful love songs. They always have had the luxury of 3 different people to sing leads which also changed the complexion from song to song. I first got to see the band when Steve Shook was still there, his quiet solid presence counteracting the careening energy of the rhythm section and Johnny�s Fender assault. He had his hand in the cacophony but when things lightened up his delicate playing and vocals gave the band a different dimension. While I was living in Boston a few years later I saw the band with Aaron Spade in his place and, like most people who have a certain snapshot of a classic line-up, it didn�t immediately work for me. A different person brings different influences and energy for better or worse. It took me a while to warm to him as I�m sure it took for him to find his place in this unique crew. In reviewing the songs recorded during his tenure his ear for the Stones, the Beatles (and if I�m not mistaken Oasis) sneaks in, adding more edgy craft into a band rife with it. Johnny went to work with his brother in NRBQ when Al Anderson moved to Nashville and that�s about the time I kinda went on living with memories and audio cassettes of earlier times, as we all do with those bands that capture a time for us. I no longer lived on the east coast and had no idea what the guys were up to. OK, here�s the remarkable thing; for 29 straight years the band has held down the summertime Sunday afternoon slot at the Wellfleet Beachcomer from 4 to 8, basically from Memorial Day to Labor Day for 30 years. There has been formal (maybe the wrong word) and informal line up changes along the way; Vince is now Rikki, Johnny is back on the left and Chandler is still there in the middle. They all have other projects they participate in; they are known from Cape Cod to Tokyo but I�m not sure about in between. I haven�t really focused on Chandler Travis quite yet because I think in the end this post has been prompted by him. He has been the not-so-quiet lynchpin of the group, a remarkable songwriter with a un-duplicatable style and the ringmaster of many an almost forgotten night. Some might look at his humorous and cynical turns in his love songs as just jaded or grouchy; to me they�ve always been an example of how humor gets used to soften the hurt and reality of life. Songs like �Fade Away�(arg,”The Giraffe Suite”, forgot the actual name and missed filling in the name when editing…), �Merry Christmas Anyway� and �This World� all show their heart by the end of the last chorus; vulnerable, imperfect (the character not the song) and so hooky you swear you�ve heard them for a lifetime. The Casuals are not Chandler but they are not the Casuals without him�well, proving me wrong I see a posting saying that Joey S. was sitting in for him one night this year, which makes it a heck of cool band. 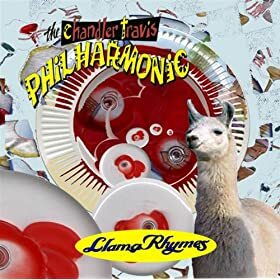 In 1996 Chandler sat in with the house band at the Lizard Lounge in Cambridge, MA, who was being led by Dinty Child, a multi-instumentalist and musicial troublemaker. This spawned a 9 piece unit that became known as the Chandler Travis Philharmonic, a riot of horns and possibility. With Rikki Bates at the drum chair, here was a band to do some serious mayhem. Described as�probably the world�s only alternative dixieland / omnipop band,� they are fun explorers of the familiar and unfamiliar that need to be heard to help a listener find their own descriptive metaphor, just like the Casuals. Sun Ra, Gil Evans, The Meters, The Seeger Sessions Band on Mescaline, Michael Buble with 50 years out in the sun� well, you can�t really keep a thumb on them for very long. They are funny, irreverent, deep, over qualified and a wonderful powerful engine to drive his songs around the bend. I keep something on in the background while writing this and here�s a song that is part �Iko-Iko�, quotes Irving Berlin and makes enough sound effects for Esquivel, Ambitious Lovers and Spike Jones all happy. Nope, I can�t do them justice even in this run on paragraph. Let’s Go- The Incredible Casuals A nugget. I enjoy the vinyl scratches on the digital version. Summer surf fun and still strong 30 years later. That’s That- The Incredible Casuals Most of what the band has recorded has been repackaged and now digitized, at least the studio stuff. They were amazing for sharing/selling their “field” recordings, imperfect and magical. “That’s That” is a good compilation, with some classic songs, from both the Shook and Spade eras. So is World Championship Songs 1980-2007. Yearbook ’04 Live at da Coma!- The Incredible Casuals Being that the Casseroles are not digitized (yet), this is a good quality live recording of the current line up with some guests. Interesting covers and a sense of the energy. If you dive deeper into their sites, You Tube, emusic, Amazon, etc, there is plenty of stuff to find of varying quality. 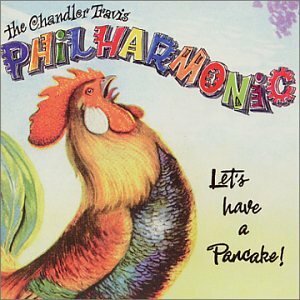 Let’s Have a Pancake!- The Chandler Travis Philharmonic The first of the official albums of the band, great songs and amazing performances. This is linked to Amazon for a simple stable permalink but most of� CTP/TIC world is available through Sonic Trout and their own websites, including their many less official recordings, including 22 Radio Ball CDR’s in “Horrend-o-phonic” sound. I’d start with the main stuff but there are treasures everywhere. Tarnation and Alastair Sim- The Chandler Travis Philharmonic 48 tracks of glorious carnage. George Carlin leaves a few phone messages before passing away. Masterful, in pieces. I am glad that through the internet I have rediscovered this music and know that more is being released and created all the time; a new Casuals and TCP release are on their way here now and I’ll update you when I digest them. I have had the great honor of working for some amazing artists over the years that the world knows; there are so many that we have to depend on each other to find out about. After such a long time in not posting, I had to make it a goodie. Check out Chandler, Rikki, Johnny and Aaron, together and apart. You deserve it. Dave Marsh recommended I contact you to get the word out about Steve Ferguson. and I’m organizing a benefit here in Tampa at Skippers Smoke House. I understand Terry is bringing his new band to Louisville for a benefit soon. He is undergoing treatment(chemo and radiation) and is responding positively but it is really just buying him some time as it is bone cancer and has spread into his lymph nodes.